Every once in awhile a simple random photo blows me away. Check out this awesome photo of Eazy-E in the midst of N.W.A. 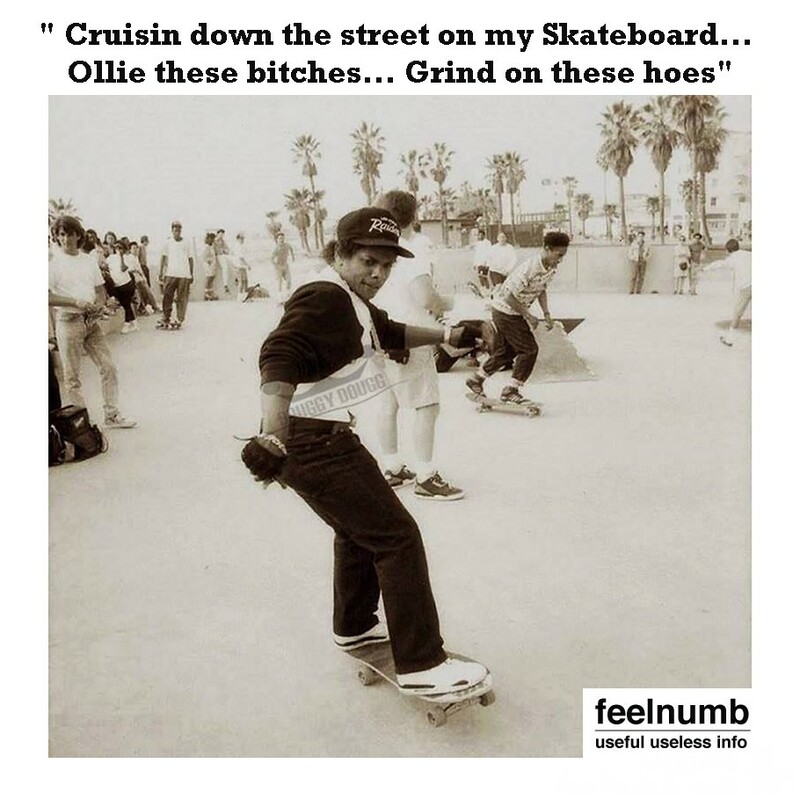 fame not being very “gangsta” and skateboarding Venice Beach 1989. 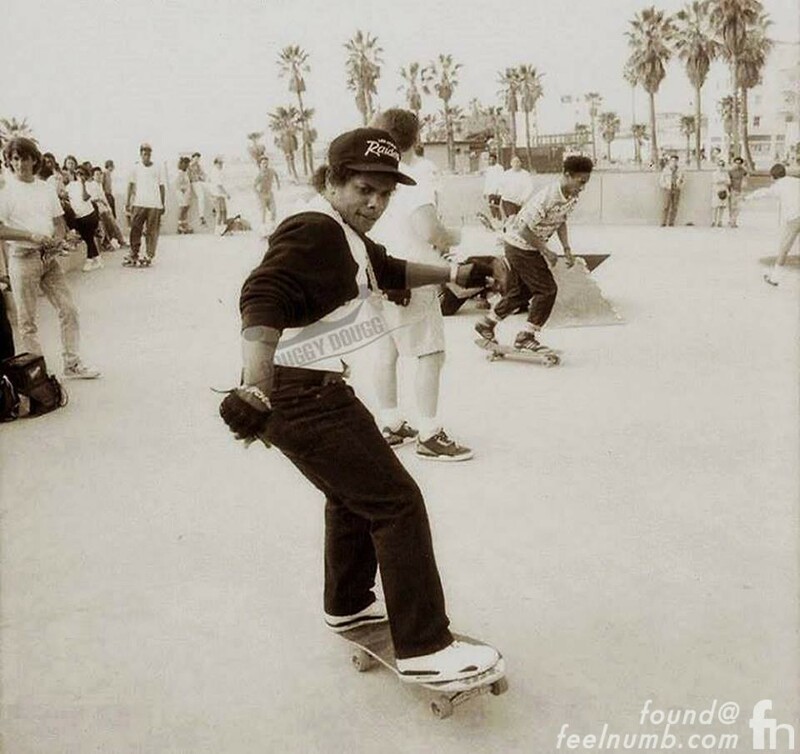 Looks like Eazy just like everyone else in Los Angeles at the time was caught up in the skateboard craze!!! 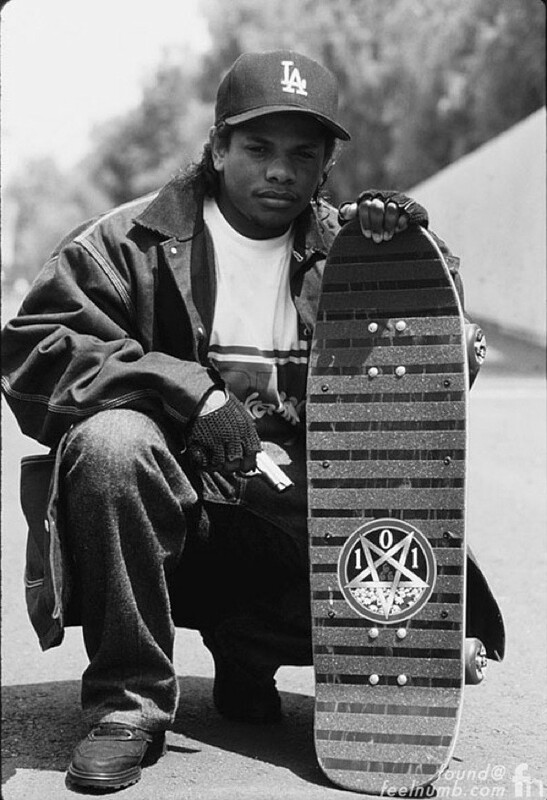 Pharrell uses his childhood nickname “Skateboard P” but looks like Eazy-E was “Skateboard E” way before!!! These photos inspired this meme.